During the 2016 US election campaign, a key pillar of Donald Trump’s platform was the assertion that the US has been “cheated” in trade, and that as President he would do something about it. In particular he pointed to US’s trade deficit with China. Fast forward 18 months, and while it remains very uncertain what shape the administration’s ultimate trade policy will take, and consequently what the economic and market implications will be, the recent announcement has made it clear that China will be the focus. What has been announced to-date? 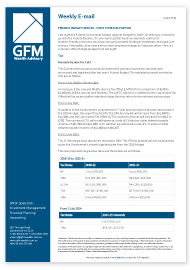 Tariffs on US$50-$60bn of imports from China: The tariffs will be subject to a public consultation period, so their implementation could be delayed significantly. Aerospace, machinery and information communications technology are likely to be targeted but the list could span several more sectors and over 1,000 products. 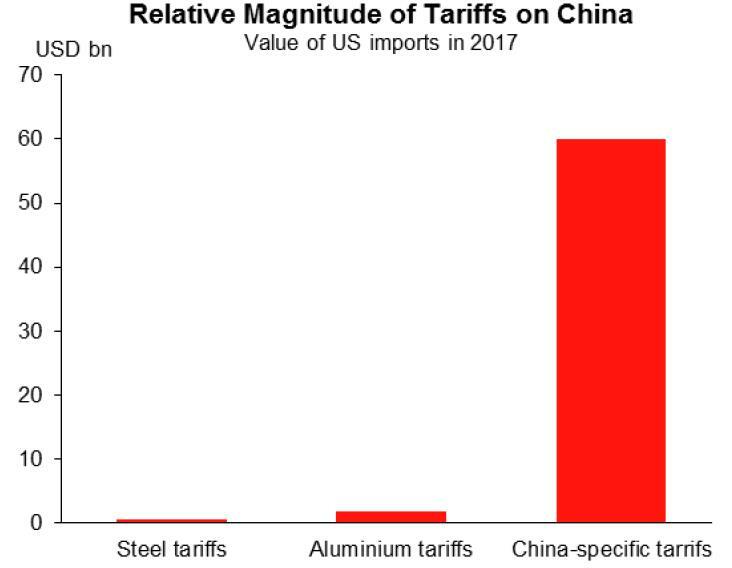 In a relative sense, assuming tariffs on US$60bn of imports, the tariffs would be 20-25 times as large for China as the tariffs on steel and aluminium that were announced earlier in the year. However they would still only represent around 2.5% of Chinese exports, and 2% of total US imports, so the direct effects should be relatively contained. Source: US Department of Commerce, Macquarie Research, March 2018. China has been asked to reduce its trade surplus with the US: Although details are scant, Trump announced on social media that China has been asked to develop a plan for the year of a US$100bn reduction in their trade deficit with the United States. This represents a significant reduction in the share of the massive trade deficit between the US and China in 2017. 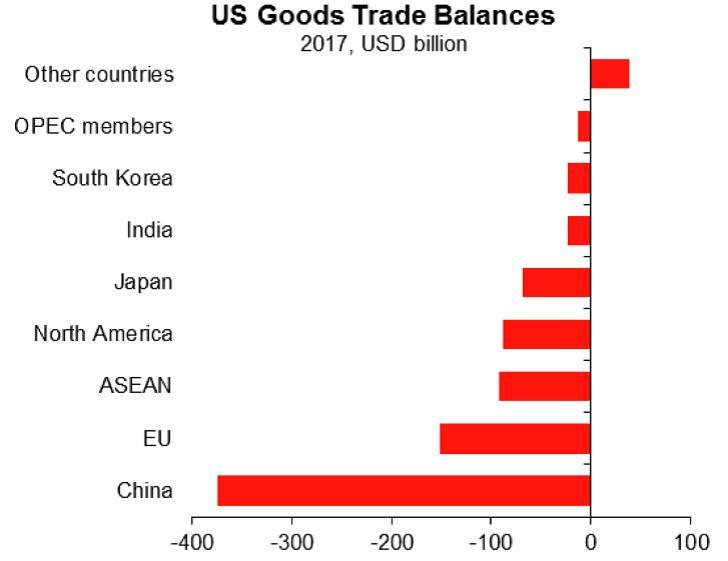 As shown below, the US goods trade deficit with China amounted to US$375bn in 2017, reflecting over US$500bn of imports compared to only US$130bn of exports. This deficit represents 1.9% of US GDP, and accounts for almost half of the US’s overall goods trade deficit of 4.2% of GDP. Clearly Trump felt that he needed to act. Source: Macrobond, Macquarie Research, March 2018. What has been the response in terms of retaliatory action? The effects of the policies proposed to date are likely to be fairly small, with the policy only effecting approximately 2% of total US imports and will only have a small direct effects on growth and inflation. As a result, the effectiveness of the proposed measures on the US trade balance is expected to be small, as US consumers substitute to lower priced imports from other countries, so overall imports may not decline even if imports from China fall. If the objective is to materially reduce the US trade deficit, it is unlikely the administration will be successful. However, if Trump’s motivation for the proposed tariffs is to get trade concessions from China, it is possible the end game will be far less problematic than currently looks possible. What is less certain is the degree of retaliation likely from China, who have warned of the potential harm to the global trade and the global economy that could result from rising protectionism. In terms of more explicit responses, China’s Ministry of Commerce is investigating possible restrictions on a number of US imports and has threatened to implement stronger retaliatory action should Trump announce and implement further measures. The risk of course is a full on trade war, which could have a very large impact on global growth. So far the Chinese response has been controlled, with discussion at the World Trade Organisation and measures targeting the “Trump States”. Although it is likely that trade actions taken to date, and actions that may be taken in the future will drive volatility in financial markets, it should not be big enough to derail the current global economic recovery. Hopefully cool heads prevail and a trade deal is negotiated that is acceptable to both the US and China.